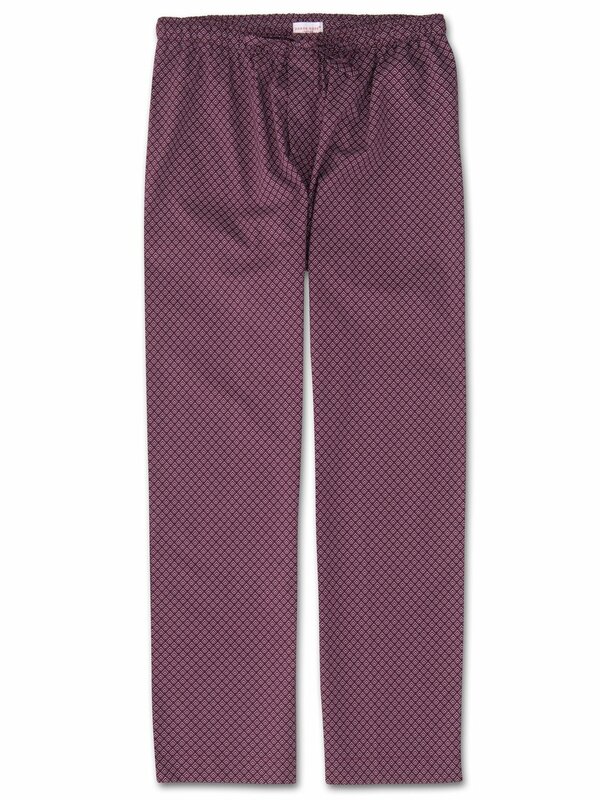 Step into our supremely cool and light Nelson 66 men's lounge pants in this rich burgundy red color. Finished with an allover 'arrow' print in white, they're a dream to wear on lazy days or after a hard day at work. If you like to relax in style, our signature lounge pants are for you. Designed and cut for a generous and relaxed fit, they are the perfect off-duty essential for the modern man. 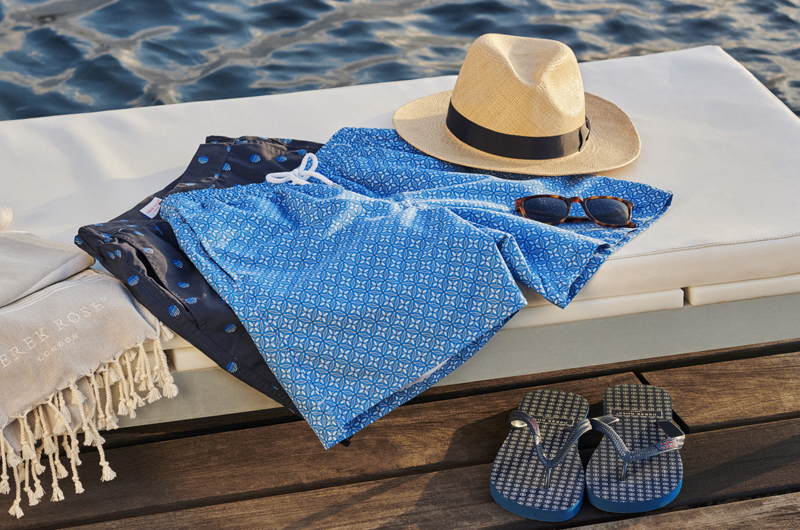 Made from lightweight and super soft cotton batiste, a signature fabric of ours that excels in warmer climes, these luxurious lounge pants are designed to keep you comfortable throughout the year.